Tonight's evening consists of a yummy Indian meal here, and lots of girly gossip. I'm a bit rubbish when it comes to Indian food, and I never know what to order, so god knows what I'm going to end up eating, but I'm sure the night will be fun anyway! 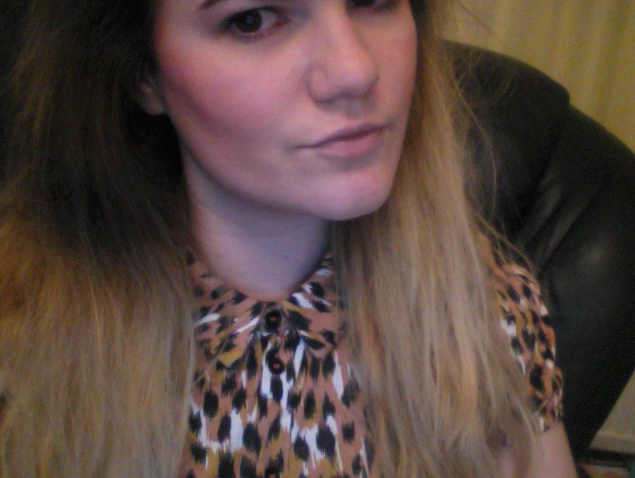 I tried taking outfit photos, but it's too dark (I hate the clocks changing), so I've taken a few random Photobooth pictures to share with you, and I'll try get an outfit post up on Thursday. 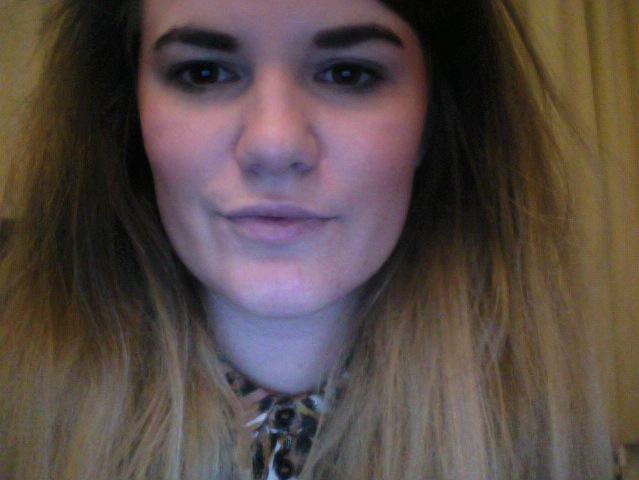 I'm wearing a Topshop dress (buttoned all the way up - my new fave thing to do!) with a Topshop skirt ontop (love layering too!) 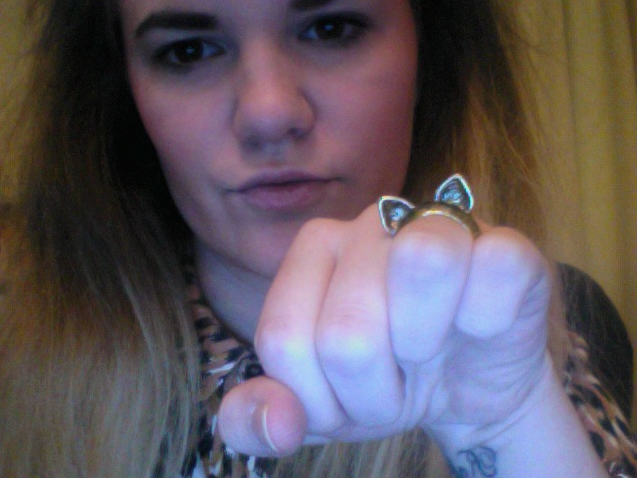 with a Cheap Frills cat ears ring (so cute!) 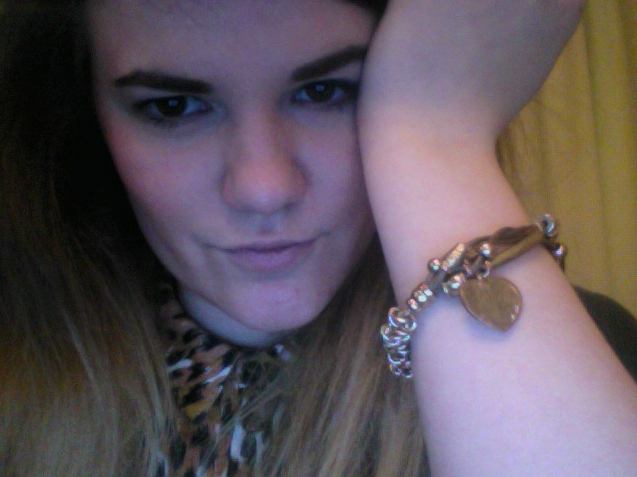 and a New Look bracelet. 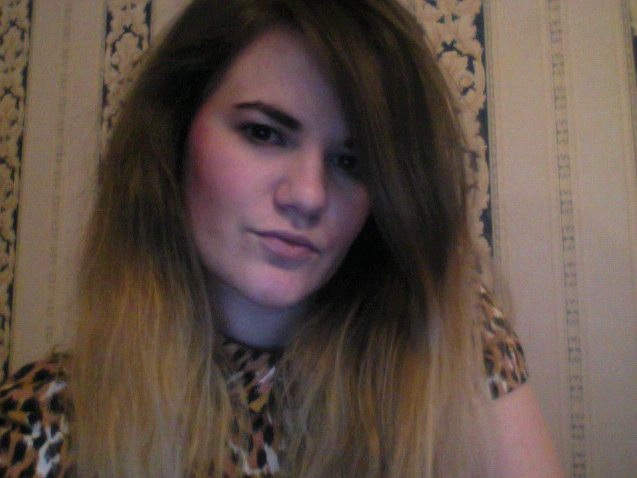 You can only really see in the last of the photos, but I've done away with my center parting... I'm undecided wether it's going to be a permanent thing, or just a one-nighter, but I'm liking it right now, for a change at least! What do you reckon?! I guess you can kinda see my re-ombred hair okay in these pictures too. Apologies for the bad quality and the over-excessive posing!